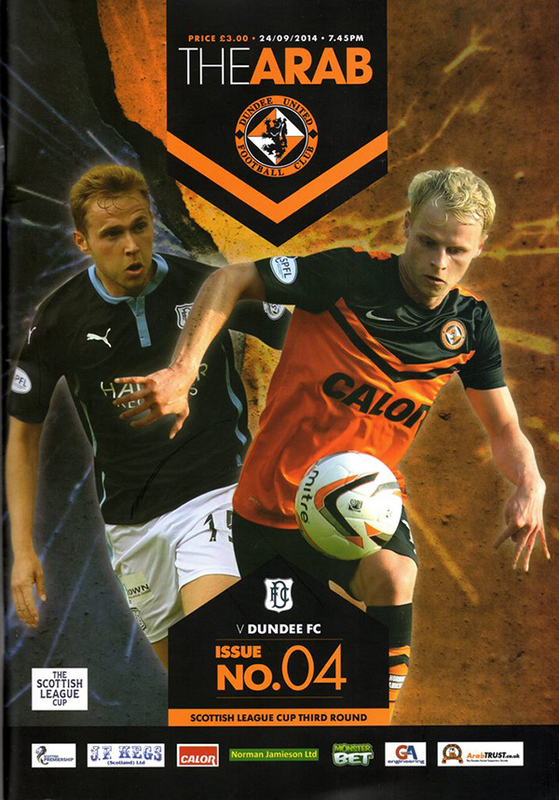 There was a full house inside Tannadice for the second derby match of the week. 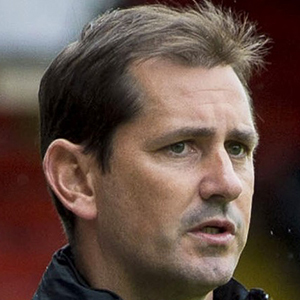 Nadir Çiftçi returned to the side after serving his suspension for being send off against Hamilton. 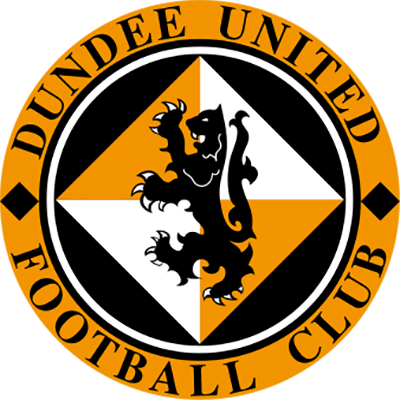 Dundee were the better side early in this game and when Boyle slipped past Sean Dillion to fire a shot away, they looked most likely to open the scoring. Boyle's shot was deflected just wide, and from the corner Cierzniak did well to deny Luka Tankulic. When John Rankin hastily tripped Paul McGowan, Dundee were offered a great opportunity to take the lead from the penalty spot. Unlike Bilate in the previous game, Stewart missed with goalkeeper Cierzniak getting his body in front of the ball. Dundee's disappointment was deepened when Martin Boyle was sent off soon after the penalty miss. United took advantage of the extra man and began to dictate play. Nadir Çiftçi hit the wood work twice as he threatened to claim the game for his side. However, as close as United came, it looked like the match would run into extra time. However, with just seconds remaining Jarek Fojut got on the end of Gary Mackay-Steven's corner and powered his header into the net to trigger mass celebration in the three sides of Tannadice housing the home support. Shortly afterwards, United were drawn away to Hibernian in the Quarter Final of the tournament. "With Dundee playing so long with 10 men it was a frustrating night all round, but I think you give them credit for the way they worked; they gave everything for Paul tonight. You think it's going to be one of those nights. We hit the woodwork a few times, had a couple cleared off the line. Jaroslaw actually had a couple of chances before he got the winner. I'm delighted for him because he's been excellent for us." "The attacking threat of Fojut at corners is something we have lacked for a number of seasons. To see him score at the shed end against our neighbours with just seconds remaining was exhilarating." 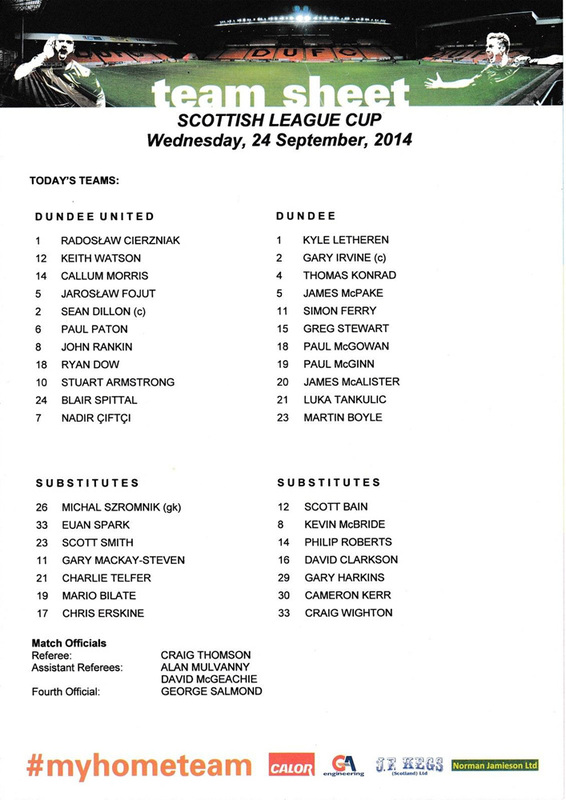 At Dens Park on Sunday we got off to the best possible start to what is a crucial week, even this early in the season. With the League Cup tie being the second of the derbies inside seven days, I don't think thats an exageration. 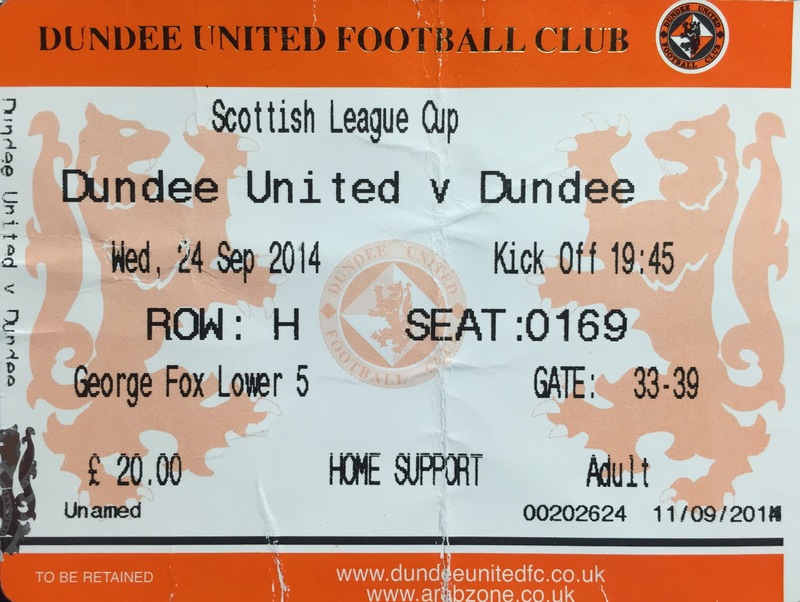 In our last home match we were held at home by Hamilton in what I found a very frustrating encounter. It was error-laden and whilst the outcome was probably fair, there is no doubt it was game we could have lost. Given our good start to the season expectation was high, but for some reason there was a lot of fear in our play. Having lost our discipline, our passing at times was very poor and the goals we lost were pretty poor as well. Not that there weren't positives, because we came back from 2-1 down, when both sides were down men. It was also important not to lose a match at home and to keep up the momentum, especially as the game attracted another good crowd. The lessons from Hamilton that we must be braver on the ball and show a bit more creativity. It was a strange game, with mistakes costing us both goals, but credit must go to Hamilton who I thought passed the ball well at times. After dropping two points it was important we made sure that we got things right for the first part of the double-header with Dundee. Though I was obviously delighted with the result, I still feel that we can do better. When we move the ball quickly and move it into little areas, we have piayers that can hurt anyone. As a team we were excellent at Dens, organised and disciplined. The back four were outstanding, Paul Paton was immense and the rest of them were just very good! There were one or two things which I could criticise in terms of the last pass going into the final third, but we carried a threat all afternoon. The important thing was that we sent our fans home happy and tonight we have to ensure that we produce a similar high level performance. It is a bonus that, after coming on three days ago, we have Stuart Armstrong back to full fitness and of course Nodir Ciftci available again. Even with Conor Townsend and John Souttar still out and Mark Wilson still to come back, I feel we have a strong squad. Certainly, we can't rest on any laurels tonight. 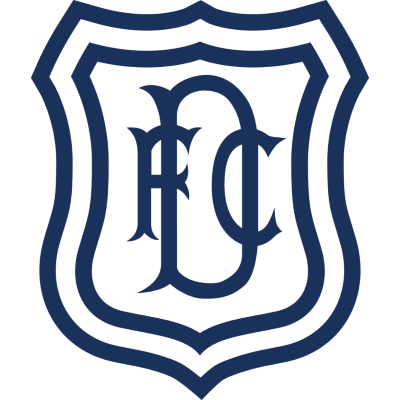 Dundee will be hurting but it doesn't matter what the situation is, it's a local derby, not to mention a cup tie. What happened on Sunday is already history and we must approach this game in like manner to ensure we come out on top again. Enjoy the match.